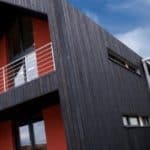 Green Building Store’s PERFORMANCE range chosen for renovation of Edwardian house with large asymmetrical bay windows. 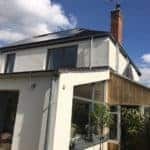 Architect Gil Schalom has undertaken an extension and radical retrofit of a 1960s bungalow into an energy-efficient two storey 3 bedroom house. 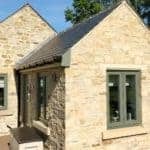 Green Building Store’s PERFORMANCE triple glazed timber windows and doors, including several French Doors, were chosen for the project. 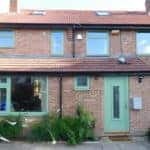 Architect Gil Schalom worked with clients to develop a ‘whole house plan’ for the deep retrofit of a 1930s Arts & Crafts house in Nottingham, which could be implemented in two discrete phases. 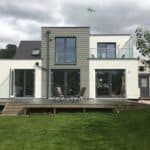 Cosy, light and spacious home designed by Kirsty Maguire Architect Ltd with triple glazed timber ULTRA doors and PROGRESSION Passivhaus-certified windows from Green Building Store. 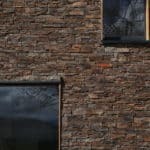 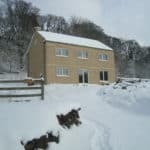 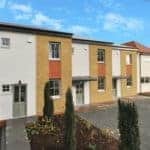 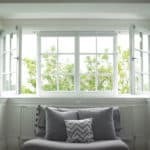 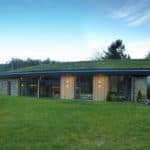 PERFORMANCE triple glazed timber windows and doors from Green Building Store were chosen for a special needs adaptation of a barn conversion to create a wheelchair accessible home.